This antivirus software package offers good basic protection, but its normal subscription price and its lack of ransomware protection allow its competitors to outshine it. 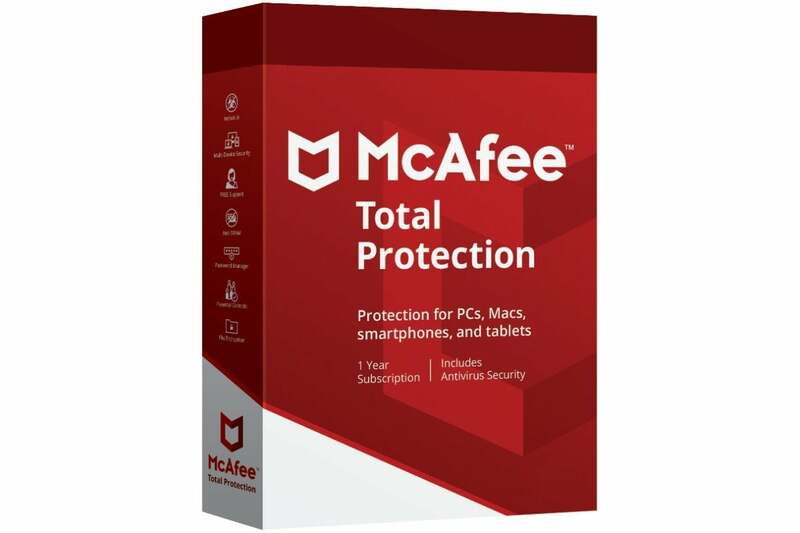 McAfee Total Protection is one of the best bargains among the options for antivirus and malware-protection software—but only for the first year. Its introductory rate of $45 includes a one-year subscription for up to 10 computers plus a password vault system for desktop and mobile called True Key. But after those first twelve months, when the price rises to the regular annual rate of $100, Total Protection’s lack of features relative to other competitors makes it hard to recommend as a long-term option. 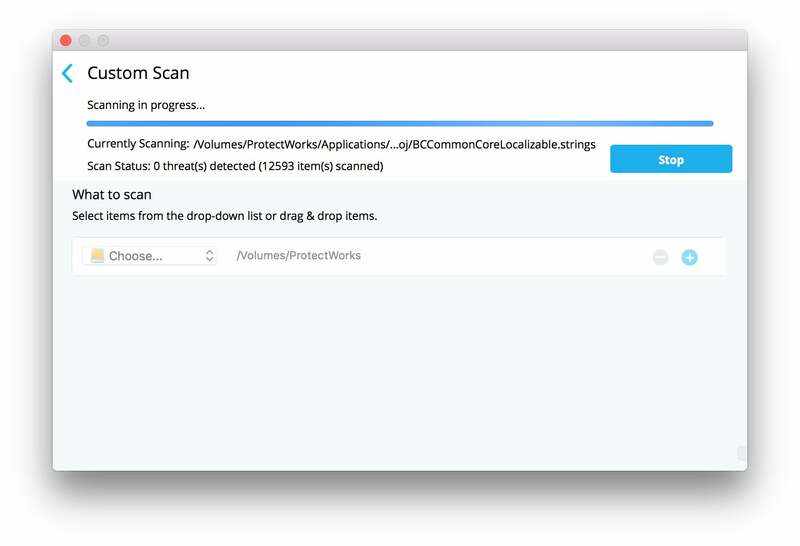 Moreover, the software is the only package we’ve reviewed in early 2018 with no score from either AV-TEST or AV Comparables’s 2017 testing, so we can’t provide an apples-to-apples score on macOS and Windows malware and macOS unwanted/adware apps. That said, in our own hands-on spot-testing, Total Protection provided good basic protection. When I downloaded known macOS malware from Objective See’s repository, Total Protection identified every example I tried immediately on decompression from an encrypted ZIP archive. It also identified a mix of Mac and Windows malware from the WICAR archive. Unzipping a piece of malware results in an immediate block of the archive’s contents and a pop-up message with a warning. To test its scanning ability, I left downloaded malware on a separate drive used to test other antivirus software packages, and then performed a full scan from McAfee’s app. Total Protection found that malware and quarantined it. Note that there’s no separate access to quarantine—you can only view the list through the “See Issue” button that appears in the app’s Home and Mac Security views after the discovery of malware. Quarantined files can be deleted or restored with the malicious part removed, but you can’t set files to be deleted automatically. When it comes to ransomware protection, however, McAfee Total Protection leaves users vulnerable. That’s unfortunate, as active and previously unknown ransomware threats are currently seen by experts in Apple security as the most likely problem to affect macOS users. They’re also the most punishing threat afflicting Windows users. McAfee’s package lacks both active and passive ransomware monitoring; the latter typically involves locking specific folders against modification except from whitelisted or Apple-signed software. A custom scan lets you check external volumes or specific folders. Total Protection does block known ransomware samples, like Mabouia, before they can encrypt files. But our top picks for antivirus software actively work to block the mass encryption of user files—which is the hallmark of ransomware—and that should be the current standard to achieve a high mark. McAfee’s friendly interface hides most of the complexity of virus scanning and malware interaction, and the program automates tasks like real-time scanning, regularly scheduled full-system scans, and update installations. Bits of awkwardness do exist though, such as with the app’s settings. Instead of a preferences dialog box, which is a mainstay of Mac software configuration, McAfee uses a settings dropdown that requires selecting a single category of protection, clicking a lock and entering an Mac administrator’s password, and configuring that subset of settings. In testing, I found that attempting a manual scan resulted in an error: “Product Expired,” despite a review subscription that lasted until 2020. The company says it’s addressed this on its end, but dismissing the dialog should allow users to proceed. (This workaround did work for me.) I also found that an in-progress manual scan’s progress bar disappeared if Total Protection began another task, but the software’s log showed it as complete without an indication that it had finished. McAfee was unable to replicate this problem, but confirmed that the logging is accurate, and scans complete even if the progress dialog isn’t shown. Total Protection includes native browser plug-ins. The browser plug-in works as one would hope: Any attempt to load a page with malware on it was blocked. However, the block message lacks detail and is poorly formatted—a minor point, but such presentation doesn’t match the polish of the rest of the system. An included firewall is quite friendly at its top level, with just a switch to turn it on and off, but it also includes two levels of deeper complexity. First, within the Firewall settings, you can define Wi-Fi networks to which you connect as trusted or untrusted, which changes firewall rules automatically. The software package recognizes when you connect to new networks, too, and prompts you to classify the your level of trust of that network. 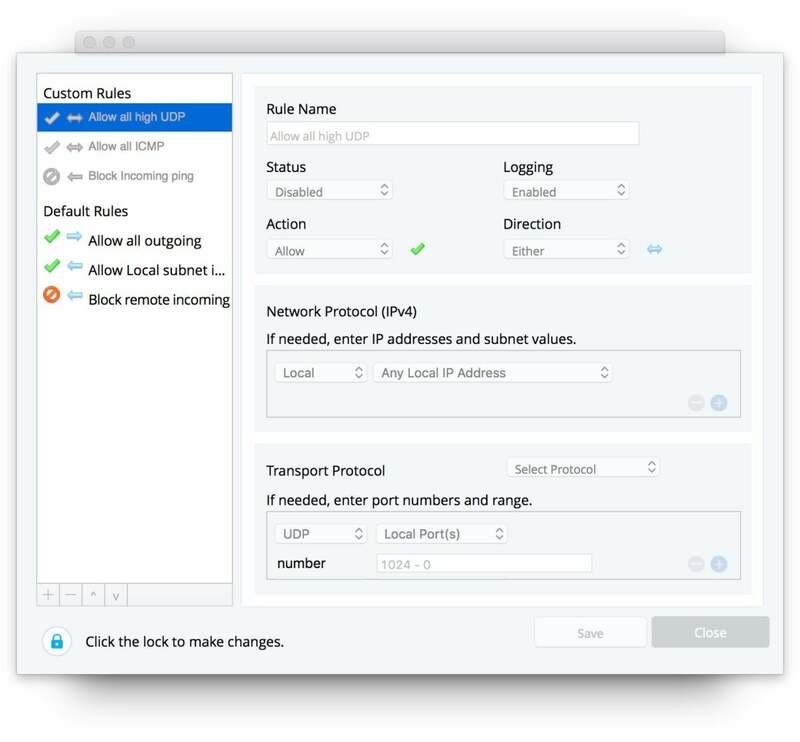 Click Manage Rules, and you can create quite sophisticated instructions for blocking or allowing networking traffic from ports and addresses—features usually found only in standalone firewall software. A surprisingly sophisticated firewall appears at first glance to be simple, but a few clicks gets you into networking details. Total Protection also includes a subscription to True Key, which is password management software created by Intel and now developed by McAfee. True Key isn’t installed as part of Total Protection, though. Rather, you have to download it from your account page at McAfee after activating Total Protection, and use an activation code that you paste into the product separately after installing it. Confusingly, you’ll find this under Free Trials > Download Purchased Products after you log in to a Web account. The True Key browser plug-in works well. It offers to remember passwords as you enter them, and has an attractively designed, easy-to-use interface for managing and adding passwords. However, it didn’t always capture logins for popular sites. For instance, I tried to use its automatic method to capture and store my Amazon login, and it failed. With other sites, like Dropbox, it worked as expected. The main downside of True Key is that Mac users are limited to browser plug-ins for Chrome and Firefox—no Safari support exists. Users of Chrome and Firefox will find this a non-issue, of course, but many Mac owners will find True Key to be a non-starter. The True Key system stores your information centrally, and relies on a browser extension that uses in-browser encryption and decryption. The central storage only stores encrypted entries. That’s also the case with popular password safes like LastPass, 1Password, and others, but some people avoid any system that relies on central storage. 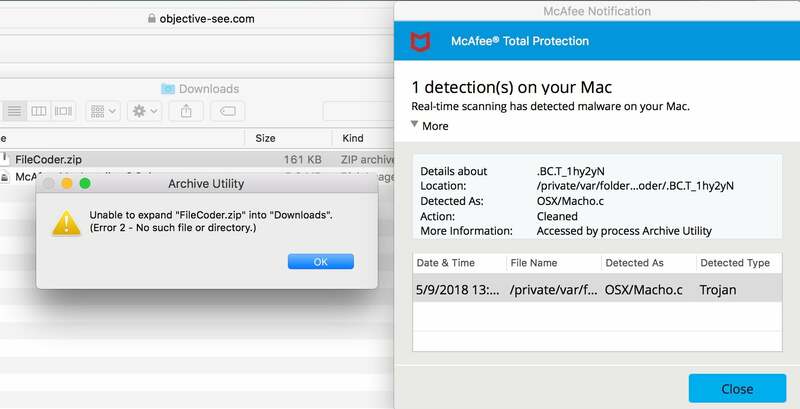 McAfee Total Protection comes with a large number of computers in its license at a low price—but only for its first year. Those twelve months should provide good service, though: Total Protection was adept at identifying malware, while also coming with the extras of a robust firewall and a password manager. However, its high subsequent annual cost, the lack of Safari support for True Key, and lack of both active and passive ransomware monitoring pushes it down in the pack among peers. Editor's note: Our original McAfee Total Protection review published in April 2018 was mistakenly based on McAfee's enterprise edition of antivirus software. This new review evaluates the proper consumer software and our verdict has been updated accordingly. We deeply regret the error.